I’ve never been much of a, “Oh, I’ll just have the salad for dinner,” kind of orderer, but for this one I always made an exception. It’s satiating, but never heavy. The flavors are clean and the textures balance well. In short, it’s just the ticket before launching into a holiday eating program. A note: Cotija is a hard, cow’s milk cheese from Mexico. It’s quite salty. If you can’t find it in the supermarket, you can substitute feta, or even goat cheese. 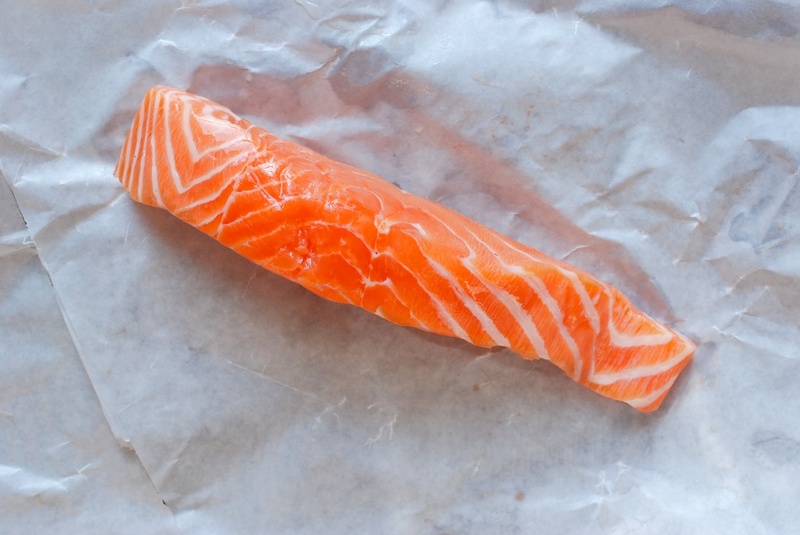 Another note: I urge you to buy wild salmon, and buy it from a fishmonger you trust, as the farmed variety is typically all sorts of awful. I will step onto my soapbox just long enough to point out this, this, and this, and now return us to our regularly scheduled programing. 1. Heat the oven to 425F. 2. Scrub the fingerlings clean, and dry them well. Now remove any eyes or sprouting bits. From here, you can cut them any way you like; I used a mandolin to make lengthwise chips, but you can cut them into coins or wedges, if that’s easier. Regardless, after you’ve cut them to your fancy, toss them generously with olive oil, sea salt, and black pepper. 3. Line a baking sheet with foil or parchment paper, and scatter on the potato pieces: you want one, fairly flat and even layer. (If you pile potatoes on top of each other, they will steam instead of crisp.) Move the baking sheet to the oven. 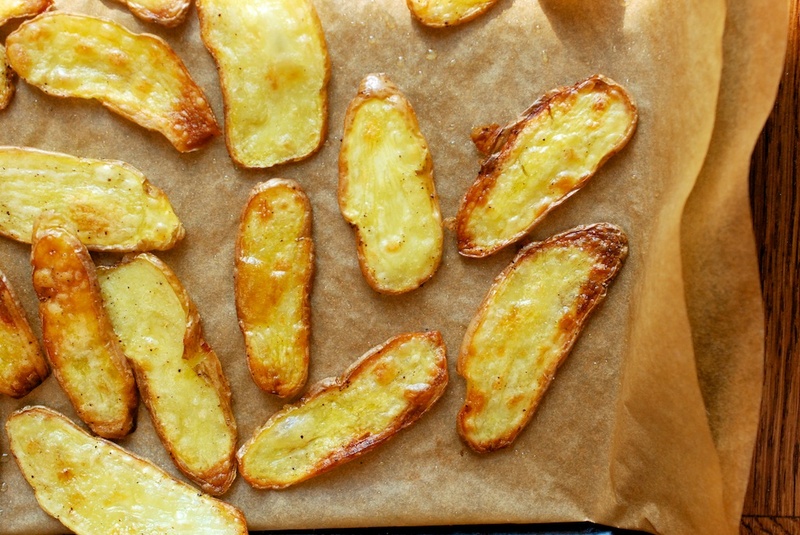 Bake, flipping the potato pieces about every 10 minutes, until they are crispy and golden. (Mine took 25 minutes, but depending on how thick you cut them, the cooking time will range from 25-40 minutes.) 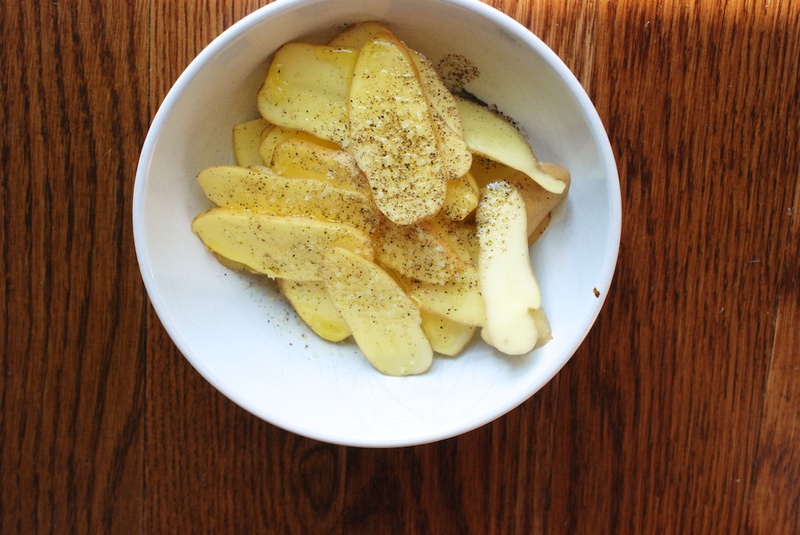 Remove the potatoes from the oven, and set aside. Lower the oven temperature to 400F. 4. Peel the blood orange; I do this using a turning knife, as the peel tends to be quite thin. Now section the orange. 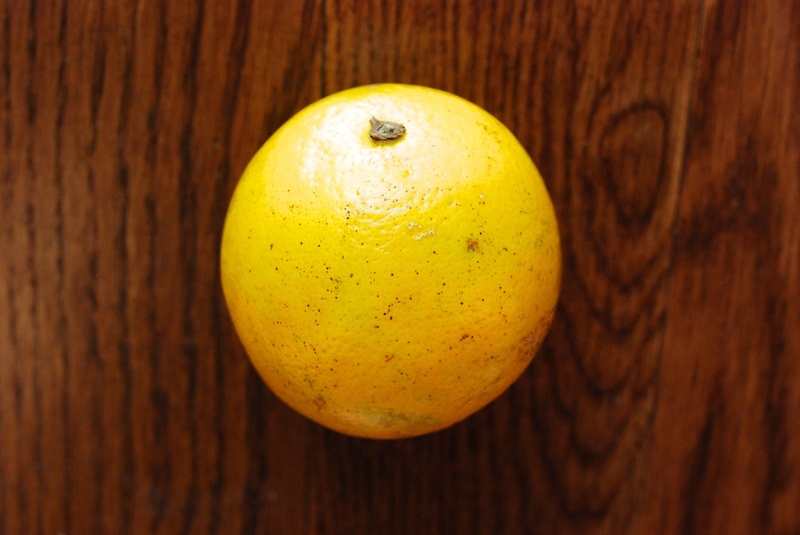 If you’ve never sectioned a citrus before, this video might be helpful. Once you’ve sectioned the orange, set aside the nicely cut pieces. You should also be left with sort of a membrane-orange-shell. Save this for squeezing into the vinaigrette. 6. 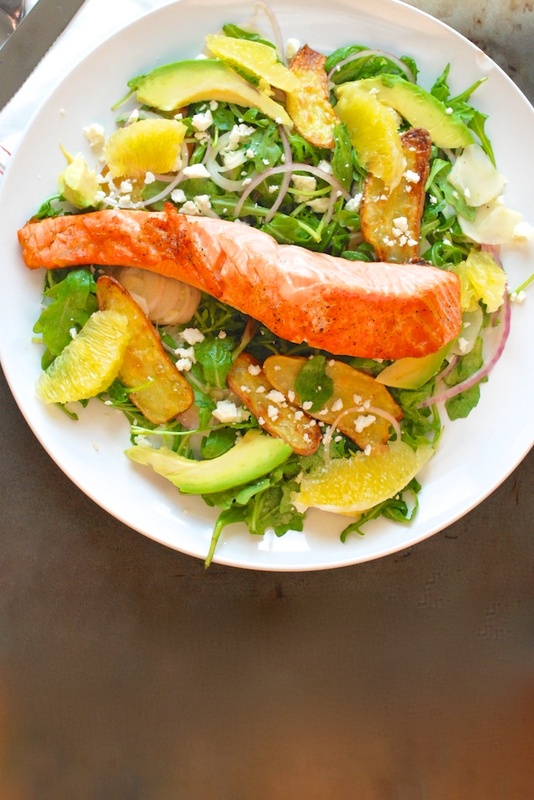 Take out the salmon filets. Pat them dry, and season them with generously with salt and pepper. 8. Meanwhile, while the salmon is in the oven, slice the avocado and the red onion to your liking. Crumble the cotija. Peel and slice the sunchokes. Set them in a little bowl of lemon/citrus water if you like, so they don’t turn brown on you. 9. After 10 minutes, remove the salmon from the oven. Let it rest for a few minutes, tented with foil. 10. 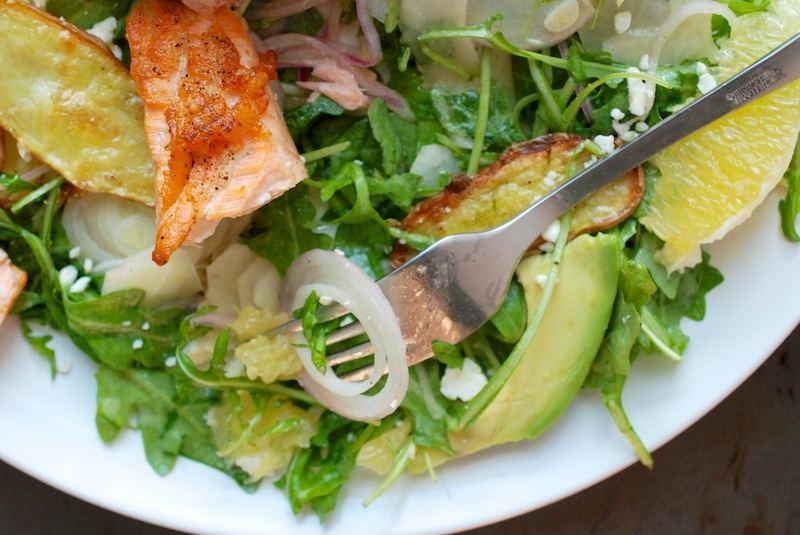 As you wait, toss the dressing in a large bowl with the: arugula, onion slices, sunchokes, and potatoes. 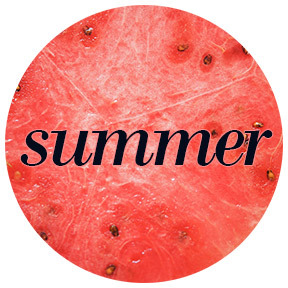 Arrange the salad on two plates, and distribute the: blood orange slices, crumbled cotija, and avocado. 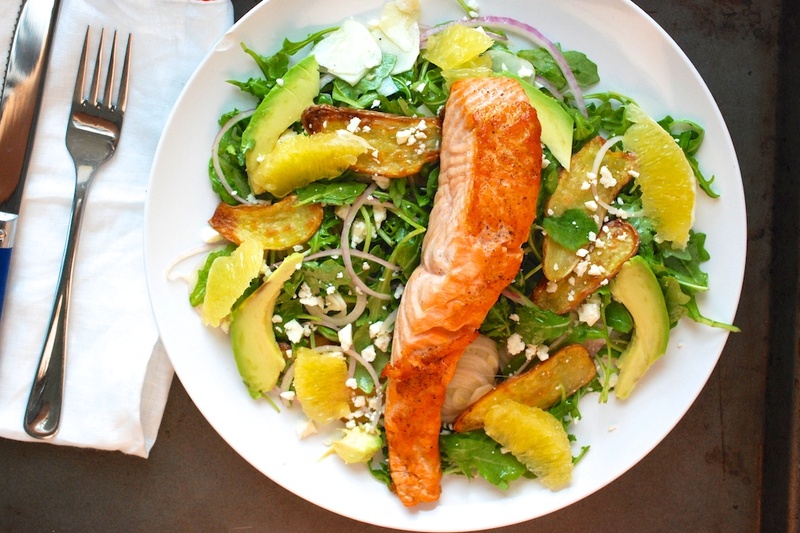 Lay one salmon filet onto each plate. Enjoy warm.